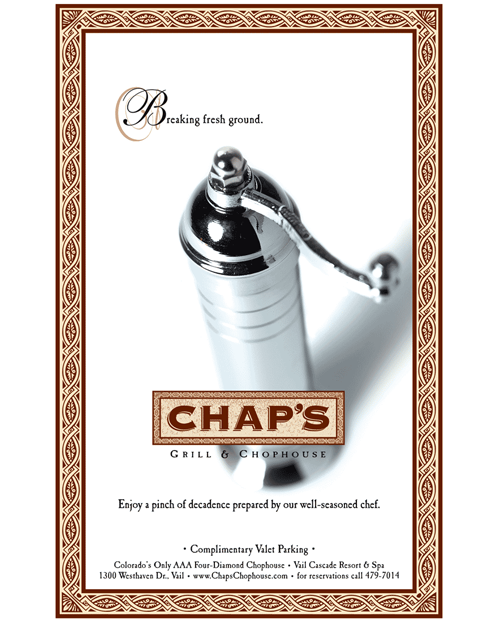 The open grill, harvest table and stunning Remington artwork set the atmosphere for Chap's Grill & Chophouse. 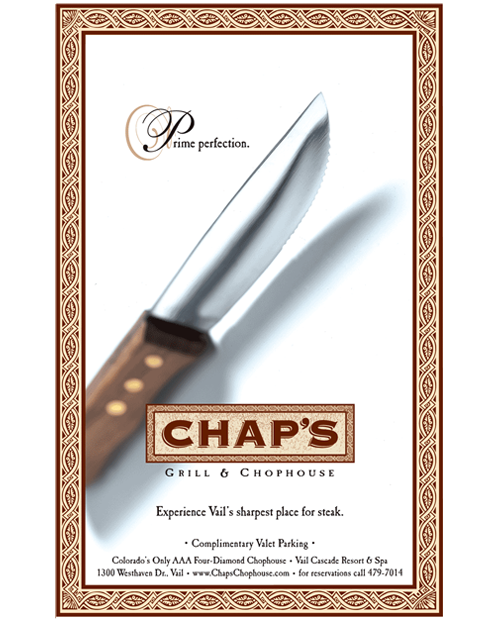 This new chophouse concept needed a brand worthy of the best steakhouse in the West. Warm leathery interiors feature heavy flatware and thick water glasses that grace the tables overlooking Gore Creek. 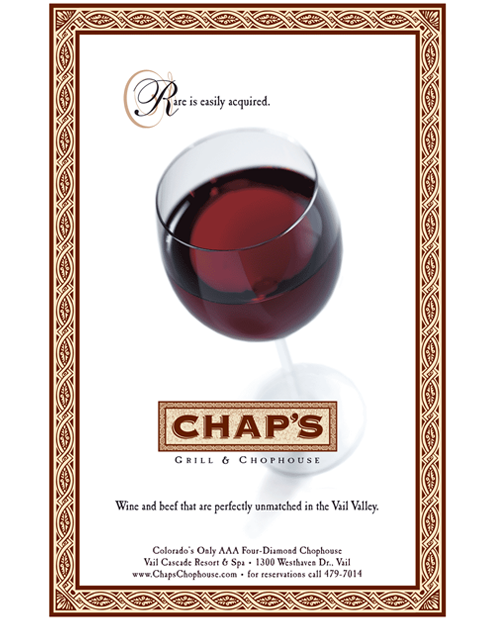 The experience is "big" right down to the mud pie desert, twenty-ounce tap beers and world-class wine list. The branding took place in cooperation with the interior design team and the restaurant's chef. Everything was born out of the creative brief: name generation, logo design, signage, environmental accents, artwork, wardrobe, iron work, lighting, and an outdoor cigar lounge. A bold taste of the West.